HP AlphaServer ES47 is a mid-range power in a low-end system. It is available both in a 2-processor tower system and a 2-4 processor rack system. 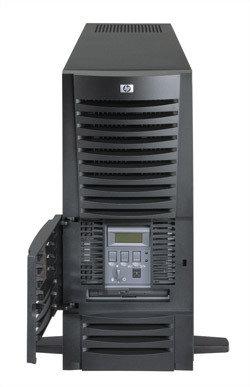 The hp AlphaServer ES47 system with 2-4 EV7 Alpha processors is ideal for workgroup systems that place big demands on strained IT resources – especially when used for dedicated application servers, infrastructure servers such as web, proxy and mail servers, telecommunications and high-performance technical computing applications. The AlphaServer ES47 system offers substantial advantages over past AlphaServer high performance solutions at the low end. Reliability features • Redundant hot-swap power, fans.